We are delighted that you have chosen Paul Hubbard Estate Agents to fulfil your property needs. We are more than confident that you will be satisfied with the service that we provide. A successful sale or let should not just be measured by how quickly we find you a buyer or tenant, success must also be measured on the service that we provide. We strive to not only offer you an unrivalled service but also to build a relationship with you. Equally, when providing survey or valuation advice we seek to be responsive, helpful and knowledgeable, whilst maintaining the highest professional standards. As a company regulated by the national association of estate agents to ensure that, at all times, we are professional, honest and accountable so that we provide you with an individual tailored service with the utmost integrity. 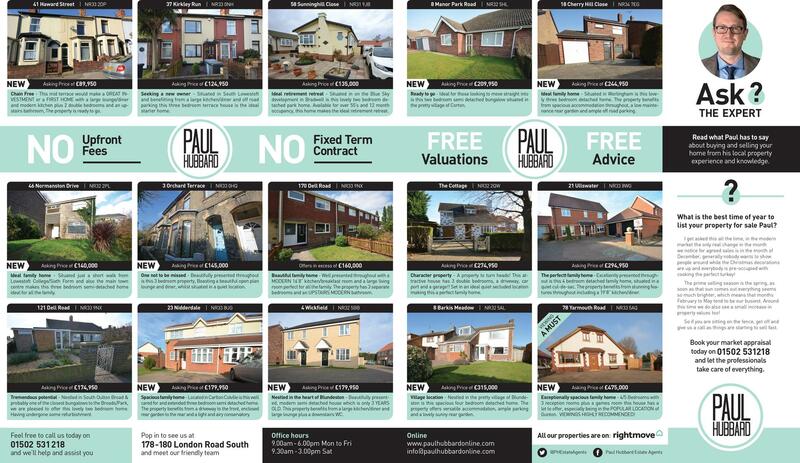 We very much look forward to being of service to you, I once again thank you for choosing Paul Hubbard Estate Agents. Longer working hours and weekends allowing us to work around your busy schedule. Your property will be presented to an extremely high standard both within our office and online. Our office is centrally located which further allows for your property to be visible to everyone visiting Lowestoft and the seafront. We have a team of experienced professionals who offer you a wealth of advice throughout the process. Our team are always on hand to answer any questions you may have. You will receive a professional set of photographs at no extra fee. 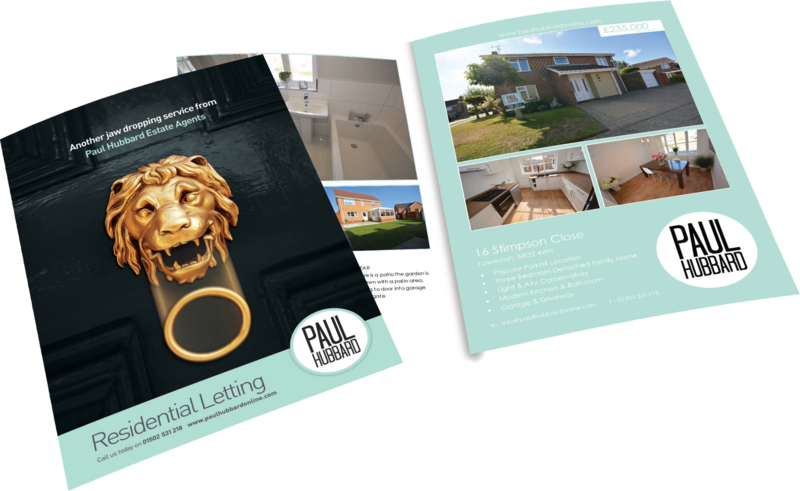 Our in-house, experienced photographer works with us six days a week so not only will you benefit from having a brochure created promptly, you will have peace of mind that your property is going to be marketed to an extremely high standard. Including free premium listings on rightmove.co.uk, zoopla.com, paulhubbardonline.com and other leading property portals. Social networking Social networking sites such as Facebook and Twitter are excellent ways in which to generate new clients who might be looking to sell, buy or rent a property. We have many followers who we keep up to date with the latest news and property instructions. We produce the nest full colour brochures using photographs taken by our professional in-house photographer. The photos themselves will be realistic representations of your home whilst portraying it in the best possible light. Our unique and detailed property descriptions will highlight the main features of your property making it an easy read whilst inviting prospective customers to book an internal viewing. to help, advise and engage with further potential applicants, reflecting our company ethos. Our aim is always to ensure our clients have as little to do as possible! Our dedicated team are available seven days a week to accompany prospective applicants to properties, answer any questions and negotiate for you. Your property will be advertised in one of the most prominent window displays in the area. Our popular and convenient office location provides easy access for all of our clients, both repeat and new. From here we operate 7 days a week, doing what we do best, selling, letting and managing property! Agents who offer Propertymark Protection have Client Money Protection (if they handle client money), professional indemnity insurance and belong to an independent redress scheme. 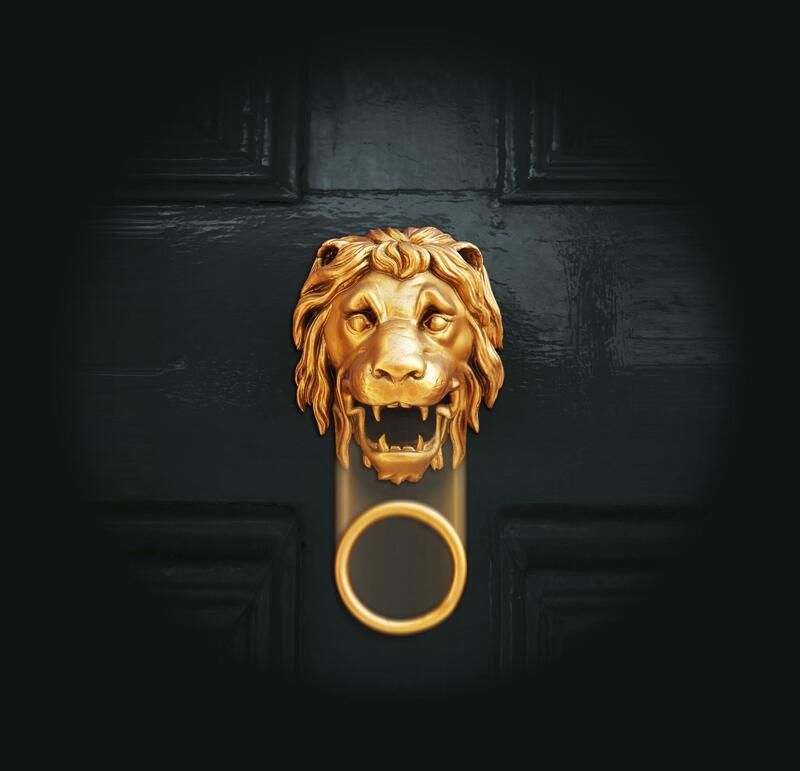 NAEA Propertymark estate agents are experienced and trained professionals who abide by a nationally recognised Code of Practice. Ruling on complaints through independent ombudsman services and regulated by Propertymark. They hold all the correct insurance and protection to give you peace of mind through your move. Registered with HMRC to ensure compliance with money laundering regulations. We are proud to say that all of the Paul Hubbard Estate Agents’ team are members of either NAEA or ARLA, or are studying towards becoming eligible for membership. NAEA Propertymark estate agents don’t just sell houses, they help you move! Whether you are looking to have your property fully managed by a dedicated team or looking to nd a tenant only, you are assured of a bespoke service when using Paul Hubbard Estate Agents. We are here to help you achieve your property goals. Full colour advertising on leading property portals rightmove.co.uk and Zoopla.co.uk along with print advertising within the local Waveney advertiser. We will source a suitable and qualified tenant through rigorous checks by our experienced and dedicated lettings team. Full inventory with detailed photographic evidence along with detailed room by room descriptions. Full checks of the perspective tenants credit scoring including previous landlord and employer references. Drawing up of contracts and subsequent contract renewal. DPS – by law the tenants deposit has to be held in a government approved deposit scheme which we will arrange at no extra cost. Moving the tenants in and out. department of new and vacating occupants. Rent collecting and subsequent chasing. Final inspections – once a tenant has vacated your property we will carry out a final inspection to ensure the property is left in the same condition to which they first moved in. Source a suitable and professional tenant. along with detailed room by room descriptions. Notify all utility providers and council tax department of new and vacating occupants.